Ambrosine Allen’s landscapes are meticulously assembled using layer upon layer of tiny paper cuttings. 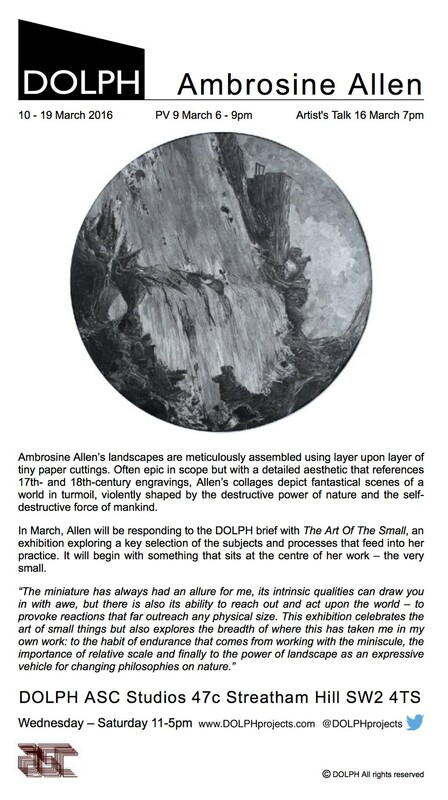 Often epic in scope but with a detailed aesthetic that references 17th- and 18th-century engravings, Allen’s collages depict fantastical scenes of a world in turmoil, violently shaped by the destructive power of nature and the self-destructive force of mankind. 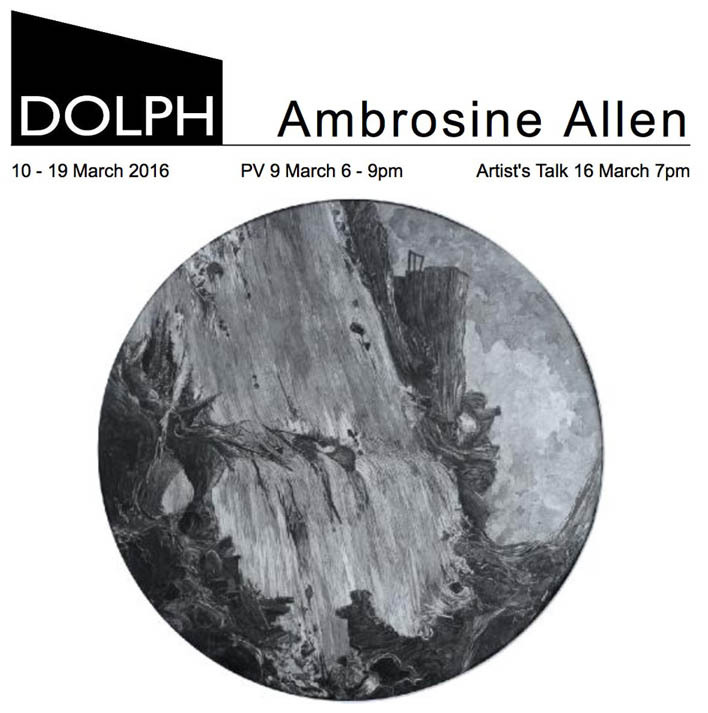 In March, Allen will be responding to the DOLPH brief with The Art Of The Small, an exhibition exploring a key selection of the subjects and processes that feed into her practice. It will begin with something that sits at the centre of her work – the very small.